Antananarivo, also known as Tana, is the capital and largest city of Madagascar. Its 18 Malagasy ethnic groups make up the city’s population of 1.3 million. 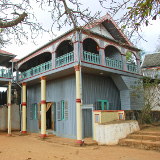 As the political, cultural and economic heart of Madagascar, it is home to many universities, hospitals and art venues. The influences of European and Eastern colonialists are evident in its architecture and cuisine. Cheap flights to Antananarivo are now available for a limited time only, so book your flight today and prepare to be excited and intrigued by this colourful and charismatic city! Antananarivo is home to Ivato International Airport (TNR), a 40 minute drive from the city centre. 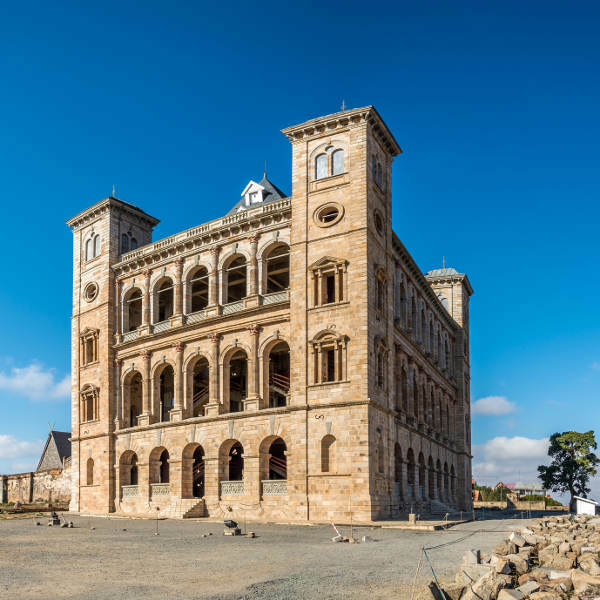 Discover the ancient palace grounds and the history behind the royal monarchies that once ruled the capital city, at the sites of Ambohimanga and Rova - Le Palais de la Reine. 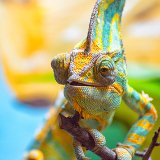 The Tsimbazaza Zoo boasts an array of exotic birds and wildlife, while a day trip to Madagascar Exotic allows you get up close to lemurs and giant chameleons. Spoil yourself with authentic souvenirs and hand-crafts from the central Analakely market, while a scenic drive to Andravoahangy leads you to an outdoor artisan market-place sporting rare gems and colourful fabrics. The best time to visit Antananarivo is during the winter season, occurring between April and October. The climate is cool, dry and generally quite pleasant. The world-renowned Madajazzcar Music Festival is a highlight in October, drawing many visitors from Africa and surrounding countries. The intense summer from November to March brings strong heatwaves and hurricanes, making it an unpleasant time to go. This colonial city of Madagascar has a rustic charm that truly makes it a place of wonder and discovery. The city’s quaint buildings, characterized by red terracotta roofs, express the diverse influences of French, English, Portuguese and Arabic cultures that have infiltrated its cuisine, architecture and landscapes. 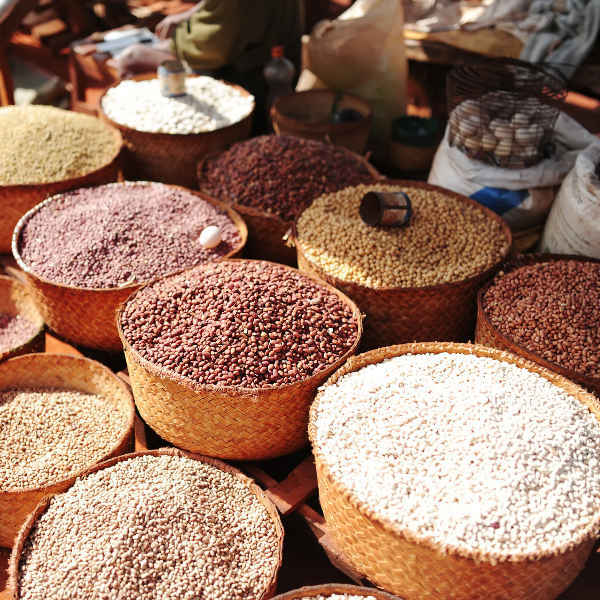 Antananarivo’s markets are a great place to see the locals in action, so set aside a good few hours to wonder around the main market area, where you’ll find some very unusual produce. Madagascan green peppercorns in brine or locally grown vanilla pods are popular souvenirs. Cafés and patisseries line the streets, so pop in and revel in the aromas of distinct French flavours. 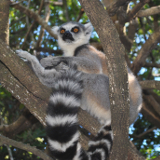 For a taste of Madagascan wildlife, visit the Antananarivo Lemur Park, the Croc Farm and Tsimbazaza Zoo. 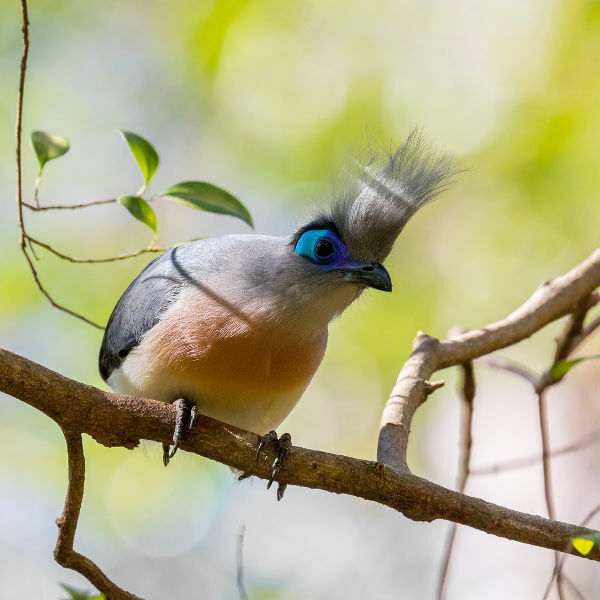 Madagascar Exotic is a bit of a drive from central Antananarivo, but the wildlife centre has a fantastic array of exotic creatures, and is well worth the trip. Compare several airlines, and book your cheap flights to Antananarivo online at Travelstart. As in any unfamiliar city, remain aware of your surroundings and personal belongings at all times. If you are carrying extra money, passports or jewellery it is best to leave these items in the hotel safe. Pick-pocketing is common on public transport and in crowded areas like street markets. It is always recommended to take extra copies of personal documents, kept in a separate place from the originals. Malaria is prevalent in Madagascar so it is highly recommended to take anti-malaria medication before, during and after your trip. Chikungunya is also a mosquito-borne disease endemic to the region, so ensure you have enough insect repellent or cortisone creams should you get bitten. Tap water is not safe to drink. Bottled water is widely available, but always ensure the seal is not broken on the cap. The city centre is a popular area for tourists to stay in. Upmarket, European-style accommodation is available as well as mid-range hotels and group lodging. The Avenue de I’ Independence is where you’ll find luxury hotels with services like bars, conference centres, spas, pools and sport centres. Most rooms are air-conditioned with en-suite facilities. Regardless of where you’re staying, you’ll be spoiled for choice of dining options. Many restaurants serve local Malagasy and international cuisine. You’ll find a couple of Italian, French and Pakistani restaurants around the city, though you should definitely dig into the spicy local dishes. If you’re travelling from Antananarivo to other towns around the island, then the train is a great option! Trains are comfortable, cheap and very scenic as they travel through steep mountains and lush rainforests, taking in the charming hillside villages along the way. Getting around the city is possible by taxi, although be sure to negotiate and fix the price before getting in. If you’re traveling further out of town, arrange with the driver to either wait for you or pick you up. Hiring a car (with a driver) is great if you’re planning on doing some island exploring. Heavy duty vehicles and 4x4s are recommended as the roads are not well-maintained. An international driving licence is required if you plan on driving yourself.